Currently standing at no.80 on the Women’s World Rankings, Luxembourg’s Sarah de Nutte is named on the entry list for the forthcoming 2018 ITTF Challenge Seamaster Nigeria Open. 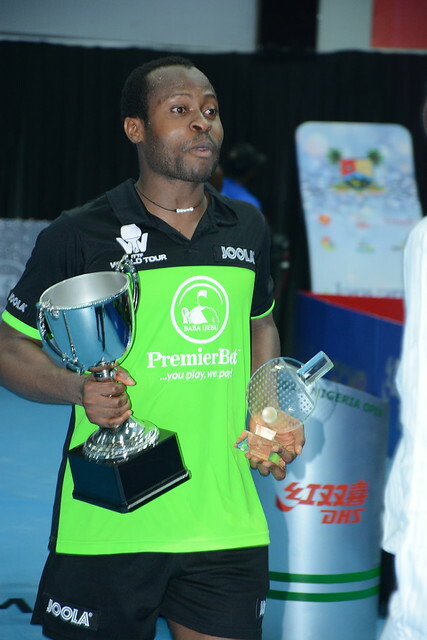 Including qualification, play commences in Lagos on Wednesday 8th August and concludes on Sunday 12th August. The six-time Luxembourg champion believes her trip to Africa’s most populous nation will help her prepare for the new table tennis season in Europe; also, the 25 year old hopes to enjoy every moment of her stay in Nigeria. Most certainly she is relishing the challenge. She has vivid and most pleasant memories of visits to Africa. Presently, Sarah de Nutte is the fourth seed in the Women’s Singles event behind Thailand’s Suthasini Sawettabut, Hungary’s Szandra Pergel and Italy’s Giorgia Piccolin; in the Women’s Doubles she partners Suthasini Sawettabut.